Slowly but surely I am beginning to transition my make-up bag from mainstream cosmetics to more natural ones. It’s been slightly frustrating, and quite hit and miss so far. I battle a touch with mineral foundation powders preferring a liquid based one if possible. It seems to suit my oily combination skin better. When the opportunity to try out natural make-up presents itself therefore, I jump at the chance to try a new brand to see what they have to offer and when they are British too, well even better. I was recently given the opportunity to try out Lily Lolo’s natural eye pencil in black which retails at £6.99. Lily Lolo is a British brand offering high-performance, high quality mineral makeup and the range spans foundation, blusher, eye shadows, eye liner, mascara, lipstick, lipgloss and make-up brushes. Their products are free from parabens, synthetic perfumes or dyes and they are BUAV approved. Lily Lolo was launched in 2005 by Vikki Khan and is named after her two sisters Lisa (Lily) and Lorraine (Lolo). They have recently revamped their packaging which seasoned users would know about but as a virgin user I cannot comment about this other than to say that I like the simple, stylish look and feel of the product. 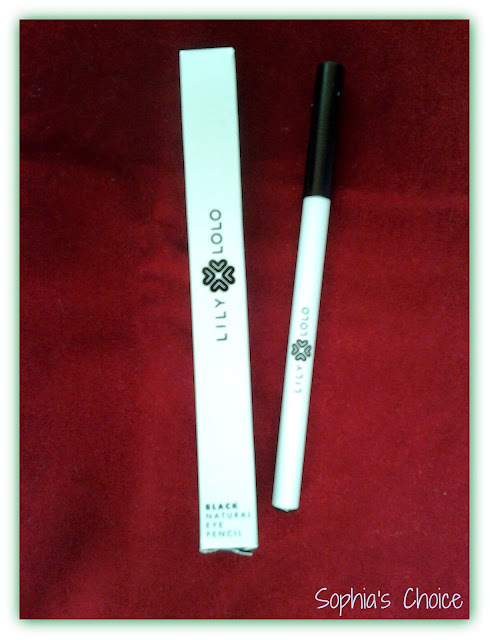 The first thing to say is that this eye pencil is highly pigmented and is ideal for defining eyes. I wear very little make-up normally; a foundation base, eye liner and mascara. I only ever wear eye shadow, blusher and lipstick when I go out for the evening. Gone are the days when I went to work suited and booted. It’s now normally little Jess and I, so the need for being made up is not there in the same way. I used this eye liner on my bottom lash line and because it is so dark I had to be quite careful how I applied it as it could make my eyes look smaller if applied incorrectly. If you watch the video Lily Lolo have on the eye liner product page, it does mention this. On the lower lash line it can smudge a touch but I found that over time I was able to get my application just right. It is a very soft pencil so very little effort is needed to apply the colour. I would love to see this eye liner in a charcoal grey. I don’t normally use black or brown for eyeliners; for me it’s always a dark grey. I am blonde and blue eyed so this colour suits me better. So far I’ve yet to find a natural brand offering this. Shame. Having tried this one product over time I’d be interested to see how the rest of the range performs. I like the look of the mascara, particularly the brush. I find that with natural brands the brush used is key for me. I have shorter eye lashes with little volume so a good brush can work wonders for my eyes. I also like the fact that the eye shadows are lovely subtle colours. I may be investing in one of their eye duos to try as well. So all in all I like this eye liner. It took a while to get used to it and make it work for my needs but overall it gets a thumbs up from me. Have you come across Lily Lolo or used any of their make-up range? Leave me a comment if you have. I’d love to hear your thoughts. You can find out more about Lily Lolo’s product range on their website, and you can follow them on Facebook and Twitter. 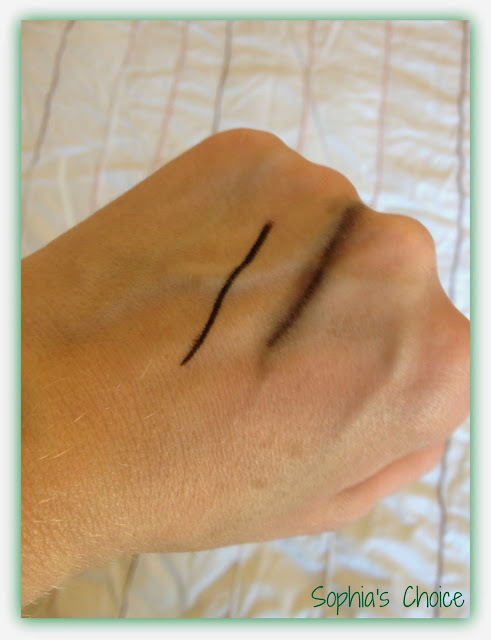 Disclaimer: I was given a natural eye pencil in black to try out for review. All opinions are my own honest thoughts and feelings on the product I used. So, if the next few blog posts seem very PR sample focussed, I apologise, but if I don’t catch up on myself a little, they will never get written. I’ve had some fabulous opportunities to try out some great products as potentials for my boutique in addition to more general pr samples in recent months. And in addition I also have an array of posts for products etc I have purchased too, so loads waiting in the wings to be shared with you. One of the first to share is the natural skincare range for babies and children from miamoo. Miamoo was founded by Saira Khan who was runner up on the first UK series of The Apprentice. Saira had suffered from extremely dry, sensitive skin for many years and this led her to start researching ingredients and formulations in skincare products. What she found were a host of synthetic ingredients used in so many products on the market targeting people like herself with dry, sensitive skin conditions. This personal journey like so many before her, led Saira to formulate her own natural skincare products and miamoo offer 6 key products for babies and children which can also be used by adults too. The first thing to say is that I love the colourful and fun packaging. The girls loved using these products and bath time was lots of fun whilst using this set of goodies. I really love the names of the product items in this range. This was one of the elements that the girls picked up on and enjoyed asking for splashy wash and huggy lotion in fits of giggles when being bathed. The splashy wash was a lovely citrusy smell and the girls used it to wash with as well as a bubble bath. It lathers up well and the girls enjoyed using it. This 3 in 1 wash for the face, body and hair and contains aloe vera, jojoba, soya bean, rosemary, silk and vitamin E extracts to moisturise the skin and hair. This again was lovely to use and washed the girls’ hair well leaving no residue behind. It smelt good and the girls were keen to use it until it ran out – much to their disappointment. Sprit and Wipe has 4 uses. Made with limewater and minerals, this spritz cleanses, moisturises and freshens the skin. Spritz and Wipe is made with bitter orange extract to freshen, vitamin E to moisturise and the minerals of magnesium, copper, iron and silicon to help tone the skin. As a toner - spritz onto a cotton wool pad and wipe over face to remove traces of make-up after cleansing. Leaves skin clean and toned. As a cleanser for baby - mucky hands and bottoms? No problem, spritz onto a cotton pad, face cloth or wipe. Leaves hands and bottoms clean, moisturised and fresh. As a detangler for hair – spritz onto hair after shampooing and comb through to detangle, no need to wash out. Use on dry hair to freshen up and condition. As a cooling spritz in the summer – Keep in the fridge to cool and spritz whenever you need an instant cooling down. Great in the summer as an after sun on delicate young skins. Great for travel- Skin saver whilst flying. Use the spritz on your long haul flight to keep the skin on your face, legs and feet, hydrated, fresh and moisturised. In addition to splashy wash, this was the other product that my girls loved both for its ease of application and also for its name. Applying the lotion was interspersed with fits of giggles and lots of hugs for Mummy which was great fun. The lotion is made with orange flower water, sweet almond oil, marshmallow extract, wheat protein, silk and jojoba seed oil providing intensive moisturisation for dry skin. A little went a long way and the skin was left feeling lovely and nourished. This cream was thicker than the huggy lotion as the name would suggest and would make an ideal nappy cream. It was ideal for really dry patches and although takes a while longer to do so, absorbs well into the skin. If it full of sweet almond oil, shea butter, cocoa butter, wheat protein and castor seed oil to help provide deep moisturisation coupled with zinc, beeswax and carnuba wax which provides a waterproof barrier for the skin. And the last product in our travel pack was Baba Oil. This was a life saver for little Jess as she was suffering quite badly at night with leg cramps whilst we were trying the products out. I used it regularly and it was easy to administer with the spray bottle, easily absorbed with a light lavender scent, nothing overpowering. It’s made with sweet almond oil , sesame seed oil, lavender oil and vitamin E.
Overall I liked the miamoo range for babies and children and miamoo give lots of uses for their products on their website plus other useful information for those with dry, sensitive skin issues. Their full size products retail from £5.00 - £7.50 each which makes it affordable for most people too. If you’d like to find out more, then you can pop across to their website, connect with them on Facebook or follow them on Twitter. Have any of you used this range on your children or yourselves? If you have then please do leave me a comment below. I always love to hear from you. Disclaimer: I was given a travel size set of all 6 of maimoo’s products to try out for possible inclusion in my boutique. All opinions are my own honest thoughts and feelings on the products concerned, no one else’s. UPDATE: Sadly Miamoo Skincare are no longer trading. Back in April, Bodhi & Birch tweeted out asking what percentage of our skincare was British. 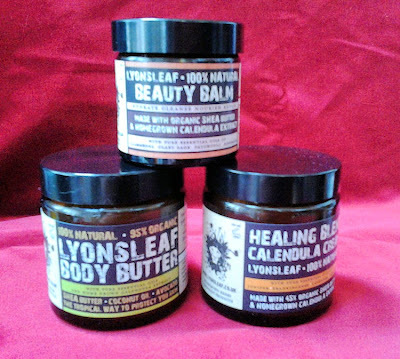 Now if you’ve not been staying abreast of what’s going on out there in the green, natural, organic beauty world then you really are missing out on some amazing brands which are gracing our shelves and screens with some “must have” items and even more exciting is that a large proportion of those are British. Just take a look at this year’s entries for the Skins Matter Awards. It’s exciting times ! I never knew when I started blogging that there were quite so many small, medium and large British brands out there offering you everything from pure oils and balms to therapeutic blends to enhance body and mind. So when Karen from “In My Humble Opinion” took this tweet one step further asking us to see which British brands we had in our back yard, I just knew I had to join in. And you know it’s only when you actually start looking do you find some fabulous small, artisan brands just waiting to be discovered. So what is ‘In My Back Yard’? If you’ve been reading my blog recently then you will know that one of the brands I am blessed to have literally 5-10 minutes down the road from me is Circaroma. 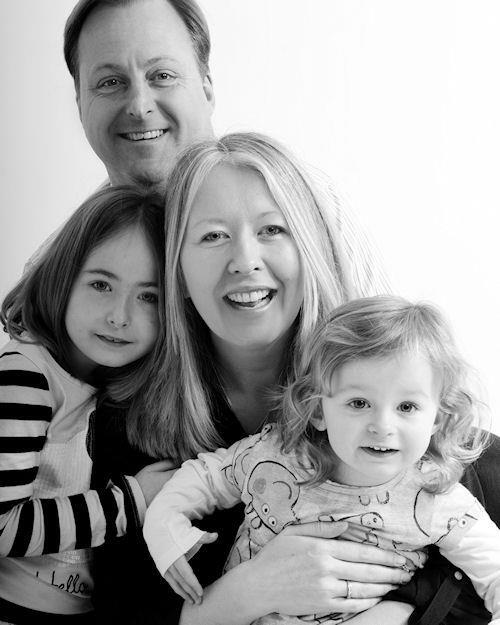 Circaroma was founded by Barbara Scott, an aromatherapist and their range spans skincare, bodycare and candles. If you’re interested in finding out more then you can read my post here. Now, I live in West Dorset but I’m very close to the Dorset / Somerset border so I have decided to look within what would be about an hour’s drive of me here and I’ve found a treasure trove of British Brands some of which I knew about and others I didn’t. Just down the road from me in the Bridport area is Oleo Bodycare run by Olivia Chapman, again an aromatherapist who I now see regularly on our Saturday market in Bridport. I really must pop by and purchase one of her range because as yet I haven’t indulged. If you’re holidaying in the area this summer then you should say “hi” to her. Then, there is Natural and Nourishing a small, artisan brand with a small, handmade range of products who are again in the Bridport area. I often see their range in some of our local shops which is lovely to see. Have you been watching Master Chef recently? Then you would have seen the lovely Angela Langford from Somerset who is about 20-30 mins from me. She makes gorgeous, award winning formulations and one of the brands I will be posting about soon. And like so many brand founders I have had the pleasure of either meeting or talking to, she is a really lovely person to boot. Then we have one of my favourites, Lyonsleaf and then Milla Maddern also in the Mendips. Annie from Hello Purple Clouds shared OV Naturals from Ilminster, all in Somerset which also made me realise that Annie from the blog, Hello PurpleClouds and I live pretty close to each other too. Then we head back into Dorset and we have Love the REAL You in Bournemouth run by Lara Williams, who produces natural skincare for teenagers and who I stock in my online boutique, Herb and Hedgerow founded by Lorraine Dallmeier, who also teaches skincare formulation. 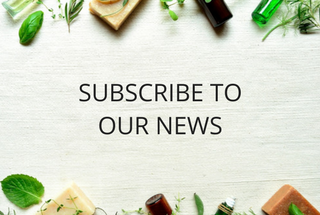 There’s Naturally Nourished in Iwerne Minster, White Lilac Bodycare and Herbal Harmony in Poole, Chilly B Soap Company in Bournemouth, Anousta in Wimborne and Green Herb Angel in Glastonbury. And last but by no means least is the lovely Neal’s Yard Remedies in Gillingham, Dorset at their Peachmarsh headquarters. So there you have it. That’s what’s in my backyard and I have to say I feel truly blessed to have quite so many small British brands within an hour of me here. Some of their products I have used and others are yet to be discovered, so I think I’m in for some real treats in the coming months. I wish I could have gone into more depth for each one, but with so many this post would have been very long. I’ll therefore leave you to have a browse of their website’s yourself and perhaps we can all start giving these small brands some love. It’s fair to say that the natural, organic skincare market is pretty saturated at the moment but what’s exciting is that there are so many British brands making their presence felt, winning awards and producing some stunning product ranges. Long may that continue. And what percentage of my skin and bodycare is British. I’d say it was currently about 80%. Can I get it to 100%? Well, with what’s in my backyard I feel there’s no excuse for me not to try ! There are some other green bloggers who have linked up to this linky, so I have mentioned them below. 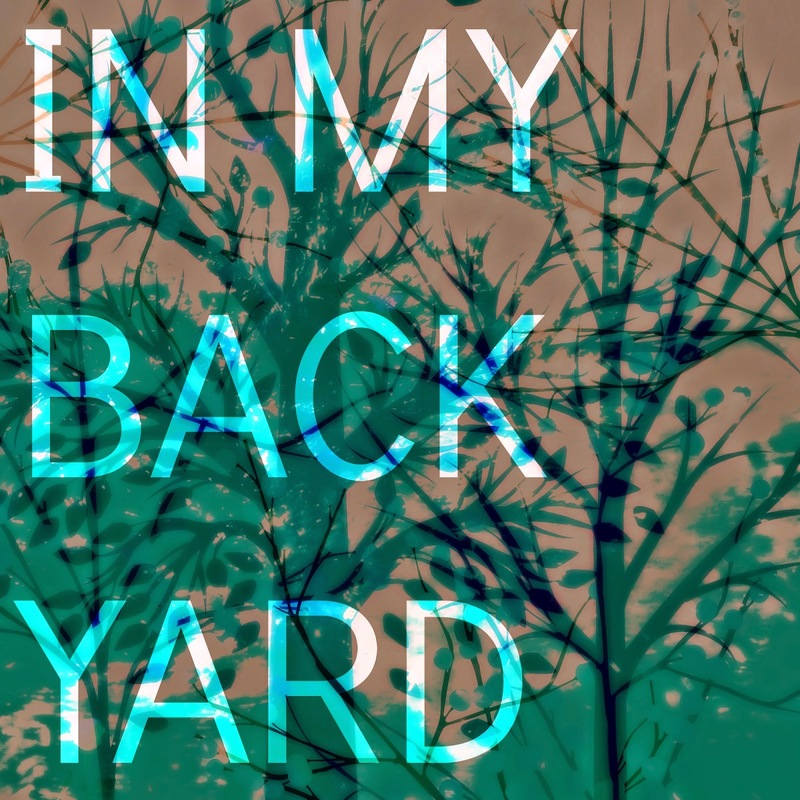 If you’ve blogged about what’s ‘In Your Back Yard’ then let me know and I’ll add you to this list below. Have any of you tried any of the Brands I mention above? I’d love to hear from you so leave me a comment below. December and January were good months for making some fabulous connections with like-minded souls within the natural skincare arena and Twitter is always one platform where I often find those connections the strongest. It seems weird that you can make such strong links with people you’ve not physically met before but somehow over a period of time and through other introductions you can actually get to know someone quite well. 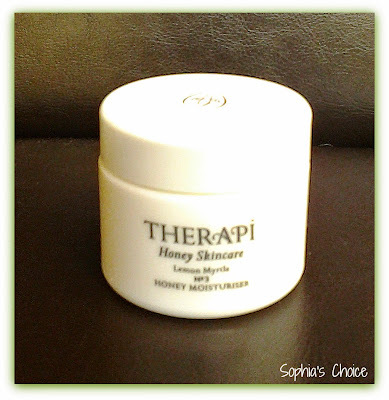 The lovely Galina from the blog, A Curious Russian in London, introduced me to Tanya Hawkes from Therapi Honey Skincare following her review of their range in December 2013. I was taken by the passion Tanya has, not just for the skincare she makes but also for the bees she keeps. Tanya is a beekeeper and her deep love of them is evident from chatting to her. My husband is very fond of bees too; always has been and would love to keep them if only we had enough space to do so. In fact he has a great respect for the insect world in general, always fascinated by them and how they live. I on the other hand (until meeting my lovely husband) have always had a love-hate relationship with insects. I wasn’t really encouraged to explore them as a child; rather I grew up with a bit of a phobia of them. I’d be the child flapping their hands and arms around like a mad thing whilst under attack from a wasp or a bee ! And that fear didn’t really leave me until I met my hubby. Over time I came to understand their gentle nature; that they weren’t up for stinging me unless I posed a threat to them. Why would they? They would die! Wasps on the other hand are another matter, but what’s wonderful about my husband’s attitude to bees, and insects in general is that I’ve grown to respect them and haven’t passed on my fear of some of them to my children. They have a deep fascination for the insect world and we actually made a masonry bee house in an Upcycling challenge with Groovebulb last year. As I’m sure you’ll know, honey is exceptionally healing and has been used for thousands of years in natural medicine. It is liquid gold and the worry now is that our humble bee is deeply under threat. For the gal who started off scared stiff of these creatures, that thought concerns me particularly as I’ve become more and more endeared to these lovely beings. I’m also more interested in conservation now, not living beyond our means, and living a more sustainable lifestyle, so my interest in protecting our wildlife gets stronger over time. I think there’s lots we can all do to help whether that’s planting more bee-friendly flowers in our gardens, sponsoring a bee hive or making sure we support the work organisations like the Soil Association are doing to protect our native bees. If we don’t and they are wiped out we would be without much of the food we have come to rely on. The picture without bees is a very bleak one indeed. So when I hear about natural skincare brands who are utilising the healing power of honey and propolis, I get quite excited. And when that range is made by a bee keeper herself, I feel doubly so. Tanya kindly sent me their Lemon Myrtle Gel Cleanser and the Lemon Myrtle Moisturiser for my combination / oily skin. The Lemon Myrtle range contains honey, purifying extracts of citrus, witchhazel and antibacterial lemon myrtle to regulate oiliness and condition the skin. 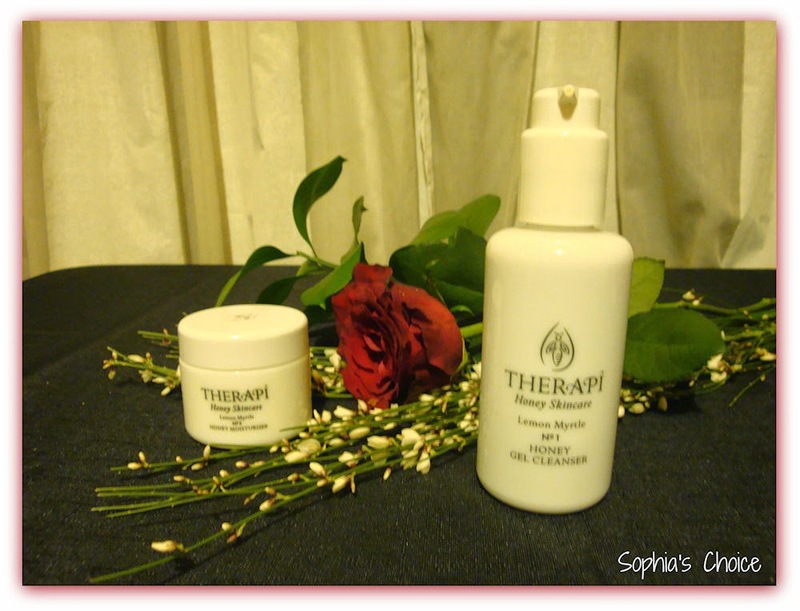 Each product has been carefully formulated to promote a clear, soft and smooth complexion. So what did I think of the products I was sent to try out? The first thing to say is that their range comes in beautiful white glass bottles. They look exceptionally chic and I loved using them. In addition to the Lemon Myrtle range, Tanya popped in a sample size of the Balancing Orange Blossom cleanser and moisturiser for me to try out too. They have 3 ranges; Lemon Myrtle for oily / combination skin, Orange Blossom for normal skin and Rose Otto for dry / normal skin. I love a facial wash cleanser particularly in the morning and this one was lovely and refreshing to use. Although it says it gently foams, I didn’t really find this. It is a lovely consistency and is gentle yet deeply cleansing on the skin. Your skin is left clean but soft and hydrated. I was very impressed with it and over time I noticed that my skin really appreciated the products and my pores appeared smaller again. It smells lovely; fresh, citrusy and reminds me of summer. The orange blossom cleanser is stronger smelling and I felt that Tanya could actually up the aroma in the Lemon Myrtle cleanser without issue, but that’s just my opinion. This moisturiser is a lovely consistency. Light yet creamy. It sunk well into my skin leaving is feeling deeply nourished but not greasy in any way. It was a lovely base for make-up too. I loved the subtle smell of Lemon Myrtle and it woke up the senses in the morning. I would love to try the toner with the other two products in the range to see how they perform together, but in this instance I just used the other spray toners I had at the time which worked well. 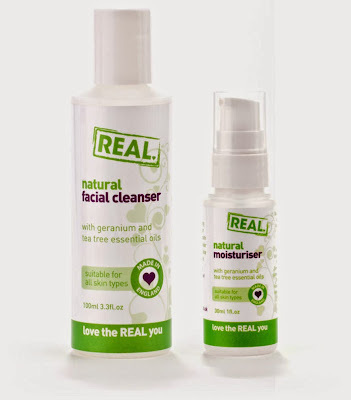 Once again this natural and organic skincare range which is Soil Association accredited is a fabulous find. Unless you are vegan, this range would be a perfect addition to your bathroom cabinet, particularly if you are prone to sensitive skin no matter what your skincare type. 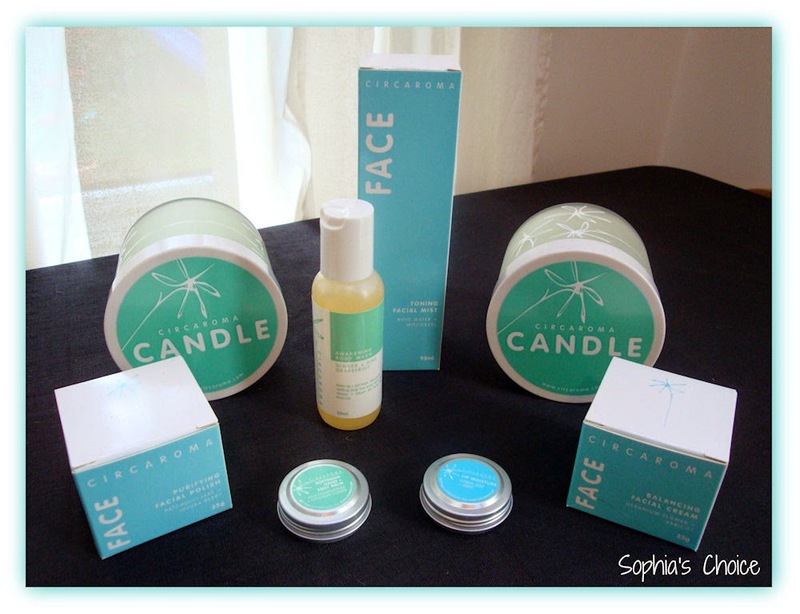 I’ve really enjoyed trying out the range and I’m tempted to try out the Orange Blossom range too as I loved the smell. Gorgeous ! If you’d like to find out more about Therapi Honey Skincare, you can pop across to their website. You can buy direct from them or their range is stocked by Content Beauty. Therapi are on Facebook and you can follow them on Twitter. 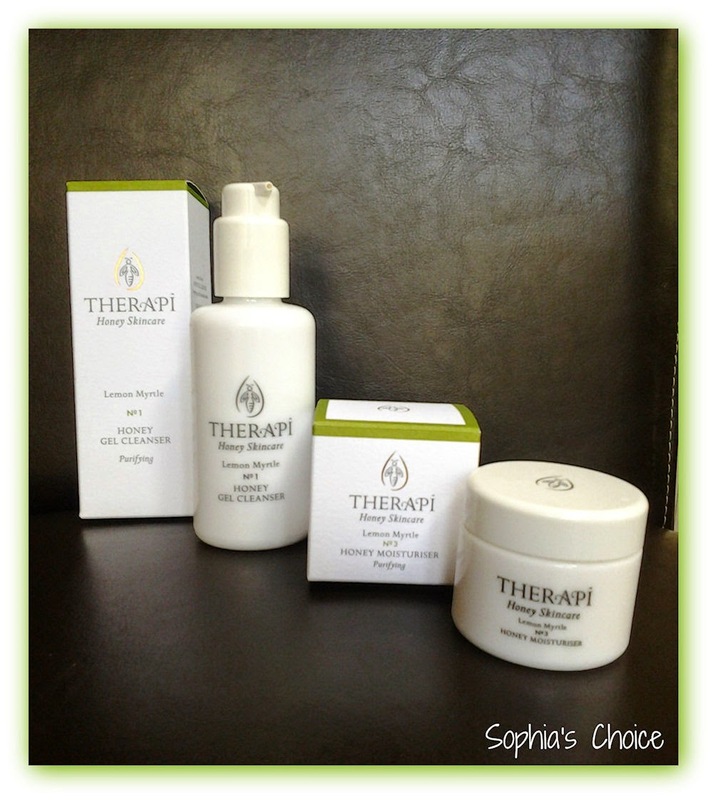 Have any of you experienced the fabulous Therapi Skincare range? If so, do leave me a comment below. As always, I love to hear from you. Disclaimer: I was sent a 50ml bottle of Lemon Myrtle Gel Cleanser and a 50ml pot of Lemon Myrtle of their Honey Moisturiser to try out. All opinions are my own thoughts and feelings on the products I have tried. I genuinely love this range of skincare. I feel very blessed that where I live I have an array of small organic and natural brands on my doorstep and Circaroma is one of those. I recently read a post from Hephzibar from the blog Good For Me, Good For You called “In My Back Yard” and I think I may join in. We forget that many of us have some amazing natural brands literally a stone’s throw away from where we live, yet we don’t often know they are there until we look. I think I can count 4 within about a 30 minute drive from here; 3 of them are within about 10 minutes ! Circaroma is one of those. I first happened upon them whilst browsing the Victoria Health website and tracked them to just down the road from me. I was very excited and popped in to say “hi”. Barbara and Steven who run Circaroma are such lovely people. I’m not sure if it just goes with the territory or whether it’s more to do with the fact that many natural brands have begun life from an Holistic Therapy standpoint, particularly Aromatherapy, but I’m always warmed by the connections I’ve been able to make with the many people I’ve met in natural skincare. It’s a great place to be and I love the feeling of like-minded souls coming together for a greater cause. Yes, I know, I’m getting all deep and meaningful on you again, but that’s me by nature. I love true, meaningful connections with people. Those that develop into something very special, and last. What’s the point otherwise? Anyway, I digress ! I do that a lot don’t I ? “Circaroma organic skincare has always been about the sensation of pure aromas linking mind and body, and was founded as a result of my work as a classical aromatherapist. When running my private practice it made complete sense to me to use only the best quality ingredients available on my clients. At that time organic oils were not widely available but fortunately I managed to find a few suppliers who stocked exceptional quality organic oils, some of which we still use today. Circaroma insist that they only use the finest natural and organic skincare ingredients available, such as essential oils, floral waters, tinctures, butters, waxes, sugars, sea salts and infused oils, many of which they source from small farms and organic suppliers. They choose not to use synthetic ingredients such as mineral oils, parabens, sulphates, artificial fragrance and colour in their organic skincare products. They blend, refine and test their products to create a synergy-rich range of sensuous skincare that will make a difference to how your skin looks and feels. Circaroma are a multi-award winning brand including this year’s addition in the Ultimate Natural Beauty Bible. 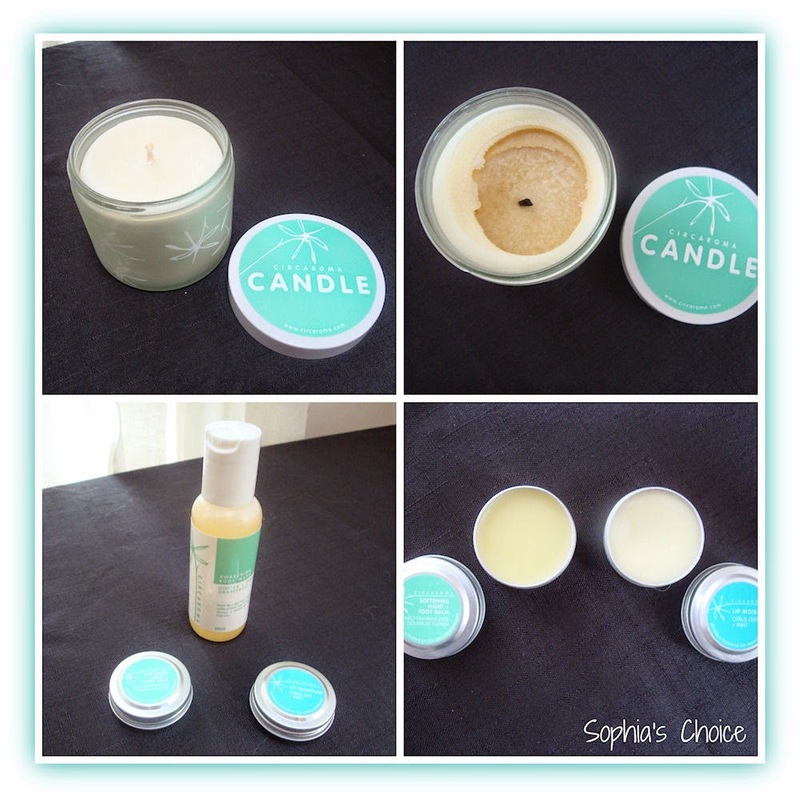 Their range includes skincare, bodycare, haircare, and aromatherapy natural wax candles. Barbara kindly gave me 3 of their balancing range for oily / combination skin to try out and I also bought a couple of their candles (one for a friend for Christmas), a couple of their lip balms, a hand and foot balm, and some trial sizes of their bodywash. Armed with my goodies I’ve been able to get a good idea of the range and I’ve enjoyed what I’ve experienced so far. I really like this face cream a lot. It is light and sinks in well to the skin. It leaves a lovely matt finish producing an ideal canvas for applying make-up. It has a light, subtle natural fragrance which I like a lot. For my face I much prefer creams and lotions that use essential oils to fragrance their products. I find them earthy, and they appeal far more to my sense of smell. I find a lot of synthetic fragrance false and overpowering. I think my love of essential oils comes from my background as a holistic therapist. One of my disciplines is massage so the use of oils is key to this. I don’t think that love will ever go. Aqua, water helianthus annuus, sunflower oil cetyl alcohol, emulsifier cetearyl alcohol, emulsifier pelargonium graveolens, geranium water glycerol stearate, moisturiser sodium steroyl lactylate, emulsifier cocos nucifera, coconut oil prunus dulcis, almond oil simmondsia sinensis, jojoba oil theobroma cacao, cocoa butter prunus armeniaca, apricot oil pelargonium graveolens, geranium dehydroacetic acid, preservative benzyl alcohol, preservative phenoxyethanol, preservative anthemis nobilis, chamomile lavandula angustifolia, lavender citrus limonum, lemon pogostemon cablin, patchouli tocopherol, vit E, geraniol, linalool, limonene, citronellol. This toning facial mist is easily applied using the facial mister. I far prefer spray toners; less faff and better application. This one is quite strong on the witchhazel which I did find a touch strong at times. I find that although my skin is oily / combination that strong toners actually overpower my skin and tingle. I’m going to test this theory next time I get a toner and just get one purely with Rosewater in it to see if I notice a difference. This toner is effective and great at preparing my skin for the balancing cream. I wasn’t able to try out the cleanser so I do not know how all three products perform as a team. However, if the other 2 are anything to go by I’m sure it is an excellent product. I really enjoyed using this facial polish. Gentle yet effective, it removed dead skin cells easily and left my skin feeling clean with a matt finish. This made sure my skin was in the best condition to absorb the balance cream. 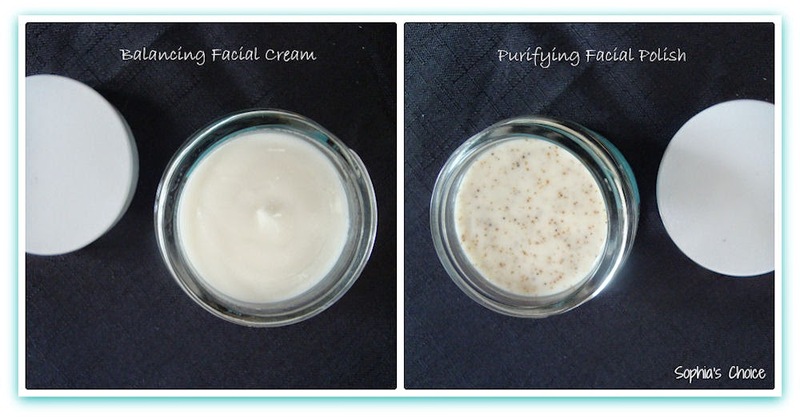 This facial polish is gentle enough to use several times a week. It has a lovely fragrance, stronger than the balance cream with patchouli and palmarosa, yet not overpowering. aqua water cetearyl alcohol, emulsifier cetyl alcohol, emulsifier betaine, emulsifier simmondsia sinensis, jojoba oil glycerol stearate, moisturiser sodium steroyl lactylate, emulsifier juglans regia, walnut shell glycerine cymbopogon martinii, palmarosa pogostemon cablin(, patchouli dehydroacetic acid, preservative benzyl alcohol, preservative phenoxyethanol, preservative, anthemis nobilis chamomile, citrus limoum lemon, tocopher ol vit E, geraniol, linalool, limonene. In addition to the above products I have loved using their balms. They are soft and buttery and lovely to apply to dry lips, hands and feet. I bought the citrus zest and mint lip balm and the softening hand and foot balm with wild frankincense and geranium flower. I also tried their Awakening Body Wash with Ginger and Pink Grapefruit. This was lovely and fresh to use in the shower in the morning. I’d like to try out a full size bottle of this and also their Green Mint and Lemongrass one. Sounds yummy. The aromatherapy candles I bought were Cinnamon Spice and Orange which was a Christmas pressie for a friend and then the Pink Grapefruit and Lemongrass for myself. They smell amazing but my only grouch would be that mine didn’t seem to burn particularly evenly. I wasn’t sure if this was due to the jar pot rather than a glass voile. Despite this, the fragrance throw when lit is lovely. 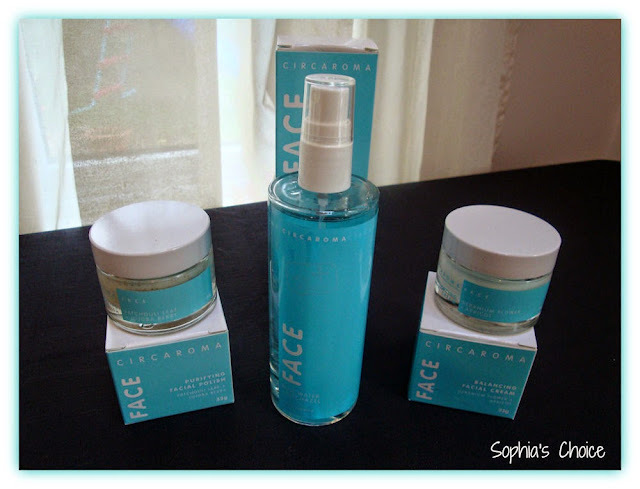 So there you have it, my thoughts on Circaroma’s organic skincare range. You can visit their website here and they are also on Facebook and Twitter. Have you experienced Circaroma’s award winning organic skincare range? If so, do leave me a comment below. I always love to hear from you. Disclaimer: In addition to what I bought myself, I was given a 35g pot of the Circaroma’s Balance Facial Cream, Purifying Facial Polish and a 95ml toning Facial Mist to try out. All opinions are my own honest thoughts and feelings on the products I tried out.